Gardening becomes easy and enjoyable when you’re wearing our Chrissy White Pink PVC Garden Waist Apron! This gorgeous waist apron is made from 100% coated cotton, making it very easy to keep clean. The apron’s design features our signature fuchsia pink Ragged Rose scattered across a white background. The roses are smaller in size compared to our other aprons but the leaves are still that vibrant shade of lime. 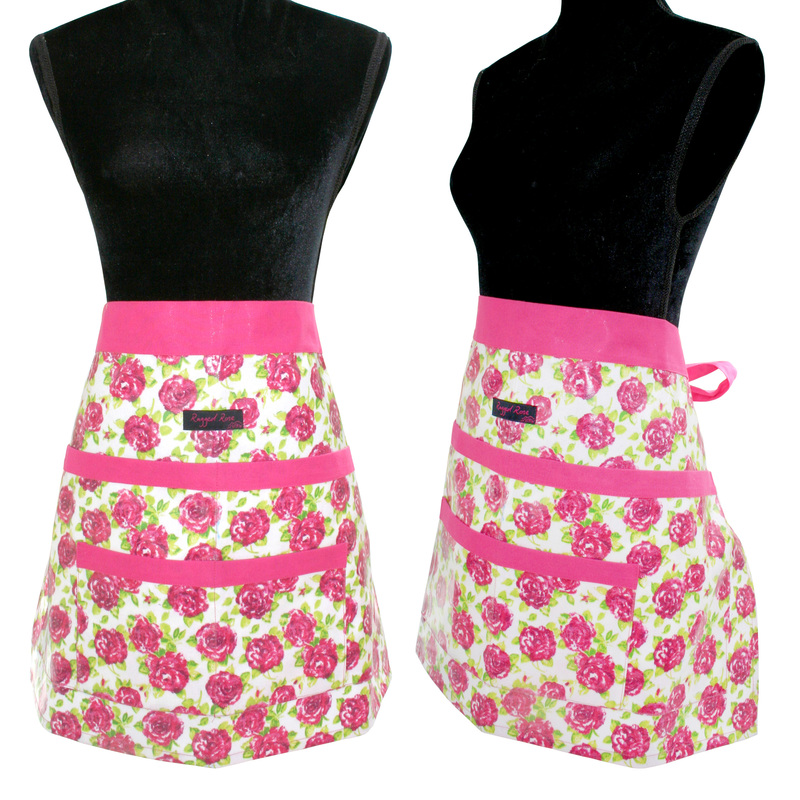 The waist ties and pocket trim are plain fuchsia pink to contrast with the apron’s floral design. 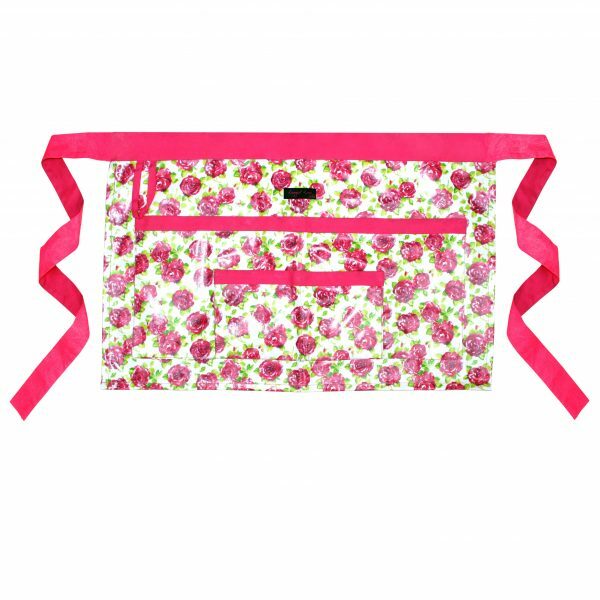 There are four deep pockets at the front of the Chrissy White Pink PVC Garden Waist Apron with a loop. These pockets are handy as they provide easy access for you to get to your gardening tools. It’s only natural that your Chrissy White Pink PVC Garden Waist Apron will become dirty, especially if you choose to keep your tools in the handy front pockets. It’s easy to keep clean, thanks to the PVC coated cotton used to make the apron. All you need is a damp cloth then simply wipe it clean. Unfortunately, due to the material used to make this apron, it is unsuitable for a machine wash.
Our pretty pink rose design has always been a favourite, which is why we have a number of matching items available. 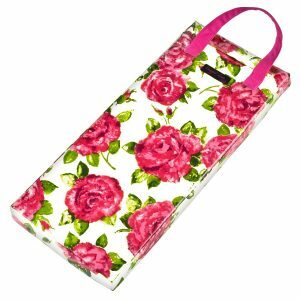 Our Trudy PVC White Garden Trug Bag is perfect for storing your gardening tools and co-ordinates brilliantly with your Chrissy White Pink PVC Garden Waist Apron. New mums will love the bag too for keeping all those baby essentials together in one place. Check out our Nelly PVC Garden Kneeler White and Sunny Gardening Hat – both available in the same stunning print as the apron.